If you’re in need of some ideas on great days out, you’ll be pleased to learn there’s plenty going on around Broadway that you might not have even been aware of. Whether planning a trip out with the family, spending the day with your loved one, or meeting up with friends; if you would like to experience an action-packed day of fun and frolics, take a look at our list of top 10 days out in and around Broadway that will be sure to delight everyone. Broadway Tower is one of England's outstanding viewpoints and at 1,024 feet above sea level, it is the highest point on the Cotswold escarpment. 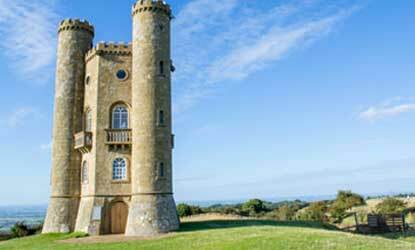 Conveniently located along the Cotswold Way, Broadway Tower is the perfect place to start your walk. Inside the Tower you can learn about its interesting history that spans its three floors. Climbing to the viewing platform on the roof is must if you decide to make the trip, unrivalled views span a 62 mile radius of panoramic countryside. With as many as sixteen counties being visible from the observation deck on a clear day, it’s one of the unique spots in the Cotswolds. Bring a picnic or dine in the delicious Morris & Brown cafe, and enjoy one of the best views in the Cotswolds - just make sure you pack that camera! Set in the small village of Snowshill, just a mile outside of Broadway, sits Snowshill Manor; a beautiful National Trust-owned three-story Cotswold Manor House. If you are fascinated by unique collections it’s packed room to room full of quirky treasures, collected over a lifetime by the architect Charles Wade. You can take a guided tour of the Manor House and the Priest’s House, where you’ll learn about the different stories behind each of the items on display. The gardens are stunningly beautiful and well worth visiting just to spend the afternoon in them, while the kids go off and play in sight. It offers a great day out for those who want to experience something a little different and it’s also a great one to choose if you’re coming with the family. The Lavender Fields near Snowshill are considered by many as one of the wonders of the Cotswolds. This third generation family farm have been growing lavender in their fields since 2000, and there’s now approximately 250,000 plants making up around 70 miles of lavender rows. Set in a beautiful landscape of the rolling pale purple-topped hills, you’d be forgiven for thinking you were in the French countryside. It’s a great way to spend a few hours - if it’s a beautiful summer’s day this is a definite must-see. 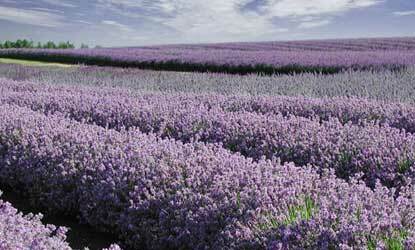 Spend time leisurely strolling through the lavender rows taking in the wonderful scenes and calming aromas. There’s a tearoom for somewhere to grab a bite, and there’s also a shop on the farm to pick up all sorts of unique lavender-infused products and gifts that you can take home with you. Stanway House, located at the foot of the Cotswold Escarpment in Cheltenham, is a beautiful Jacobean manor with a gatehouse, 14th-century Tithe Barn and church to explore at your leisure. There’s even an 18th century water garden which is the highest gravity fountain in the world standing at 300 feet. 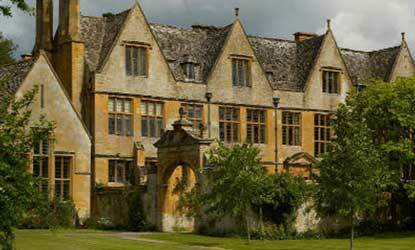 Stanway House is a truly unique attraction offering a great day out. 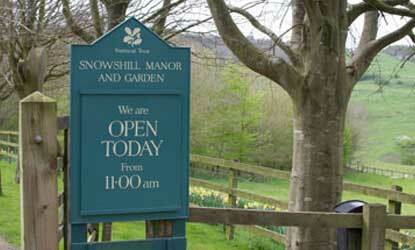 It is open during the summer months (June, July and August) on Tuesdays and Thursdays between 2pm - 5pm. Be sure to catch the fountain displays, twice daily, which will definitely leave children speechless! 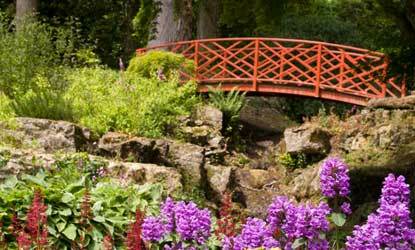 If you're a lover of nature, Batsford Arboretum is home to one of the largest private tree collections in the country. Located just outside of Broadway, you’ll find a wide range of unique flora and fauna in the 56 acres of lush woodland gardens, winding paths and free flowing streams to explore. This award winning attraction is one of the best days out in the Cotswolds, and what's best, it’s dog friendly too. Open all year round, Batsford is beautiful in every season. Take a walk around the arboretum then stop off at the delicious cafe for something to eat afterwards. If you have green fingers there’s a Garden Shop and Plant Centre where you can pick up all your gardening sundries. For those interested in British history, less than a 20 minute drive from Broadway, lies Sudeley Castle; a 15th century castle that has played an important role in Britain’s history for the last 1,000 years. 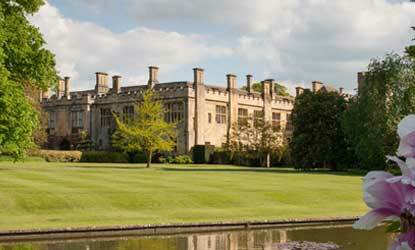 There is so much to do at Sudeley it's best to come for the whole day. Learn about the fascinating past of the castle and explore its award-winning gardens (10 to be exact) including the iconic Queen’s Garden, where four of England’s Queens have walked. It is rated as one of the best attractions in the Cotswolds, especially for children as there's an adventure playground and a newly installed 10-piece assault course - this is one not to be missed! 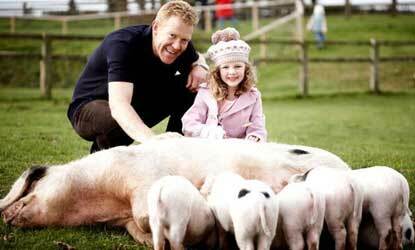 If you’re planning a day out with the whole family and would like to make it educational, look no further than Adam Henson's Cotswold Farm Park. Visitors of all ages can enjoy learning all about farming whilst interacting closely with the animals. Set in the heart of the Cotswolds, the Cotswold Farm Park is rated as one of the best days out for the family with loads of activities for children. There’s a Farm Safari, a Tractor School, Rare Breeds Trail, Touch Barn and lots of play areas, including much more; you can enjoy an entire day of fun on the farm! 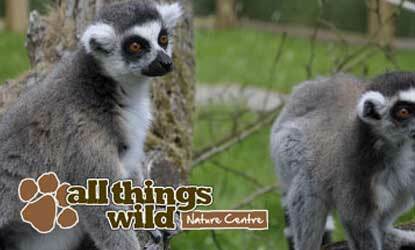 All Things Wild is a nature centre and zoo in Honeybourne, just outside of Broadway, that opened in 2012. It’s one of the best places to visit for a family outing with a whole range of children's play facilities and endless opportunities for people of all ages to have fun. With so much to do and see, both indoors and outside, All Things Wild is the perfect all-weather attraction, which is very handy when you’re planning a trip and the forecast might not be favourable! There’s an indoor beach, pedal go karts, animal encounters barn, Reptile room, Bugland, outdoor soft play areas and so much more. There really is something for everyone. Parking is included in the ticket price, and the Speckled Hen Cafe serves delicious food throughout the day - what's not to like! 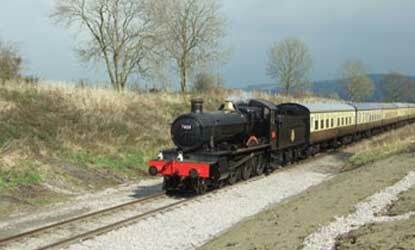 For the lovers of Steam railways, why not treat the family to a day on a steam train. The steam train from Cheltenham to Broadway and back is a fantastic way to see the sights at the various stops along the route. Kids love travelling by steam and it's a great nostalgic trip for the older generation who lived through its golden age. If you're a railway enthusiast, you can even spend a day learning how to drive a locomotive by booking one of the popular footplate courses. If you want to visit somewhere unique and exciting, why not try the Cotswold Wildlife Park near Burford. With over 260 different species of animals, it is the largest privately owned collection of zoological animals in the UK. What is special about Cotswold Wildlife Park & Gardens is the ability to experience the animals up close in their carefully landscaped enclosures, giving you the feel of a ‘walking safari’. Get involved in many of the daily activities that take place like the lemur and penguin feeding, or wander around the parkland where you can catch sight of the Asiatic Lion, African Pygmy Goats, and Reindeer to name but a few. There's also a 'Skymaze' adventure playground, travel between the interconnecting tree houses, over 20 feets high, giving you a true bird's eye view of the park!